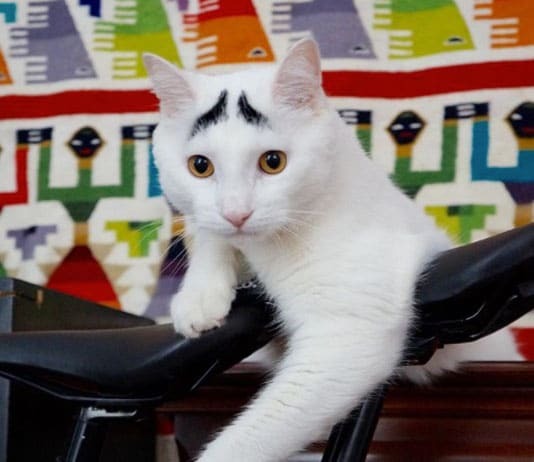 Meet Sam, the cat with eyebrows; an Internet sensation with 150,000 followers on Instagram and 530,000 likes on facebook since he made his debut on the various social media sites. You need not work hard to be a star. Just a few odd facial features are enough and you are famous. 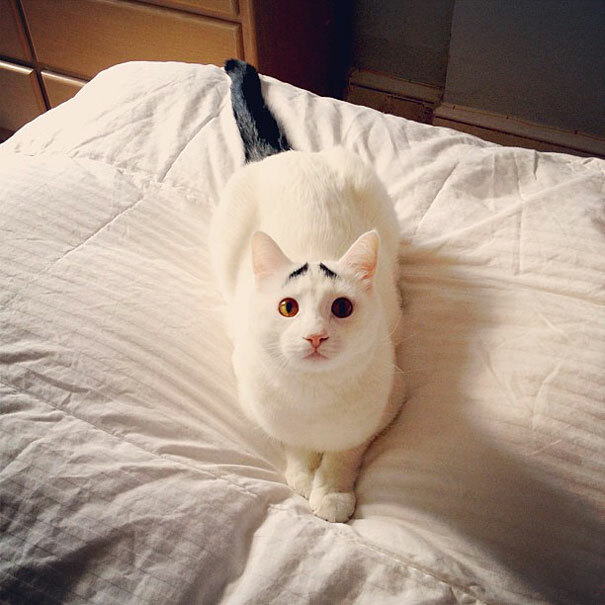 Meet Sam the cat with strange looking eyebrows that gives him a worried expression all the time. 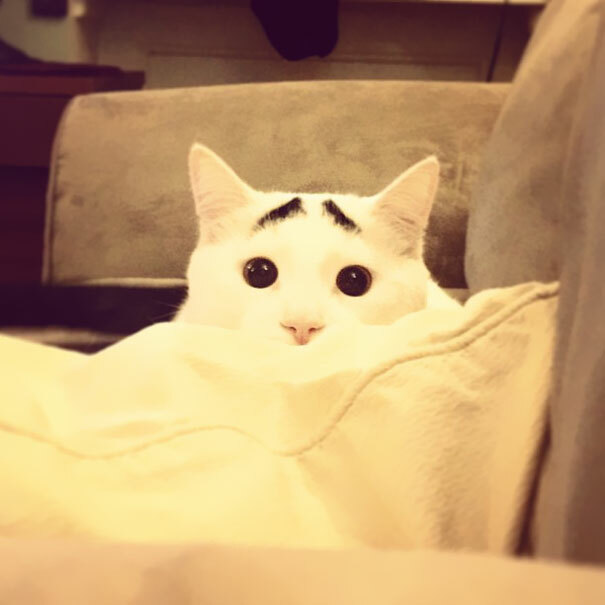 This unusual markings on his forehead looks like an eyebrow. 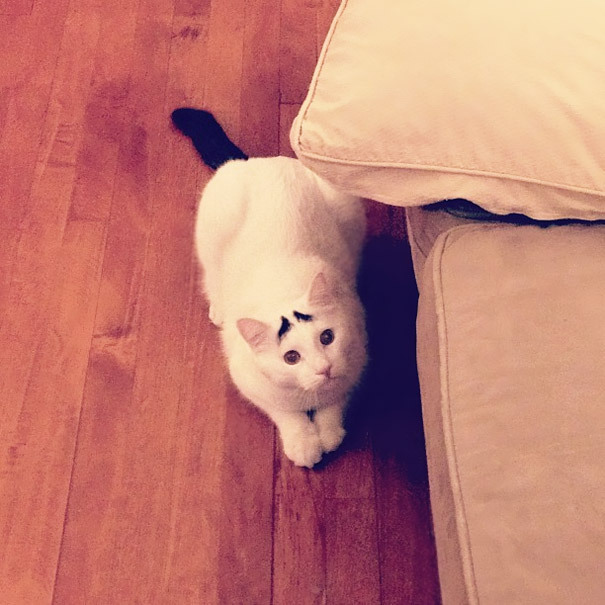 Amanda Collado, the owner of Sam and her mother noticed an abandoned cat outside their home in New York one evening. Ivette Rodriguez, the mother of Amanda Collado, was not very keen on getting a cat home. She found him curled up and was very happy to join the family. Probably he was too tired of the outside world. 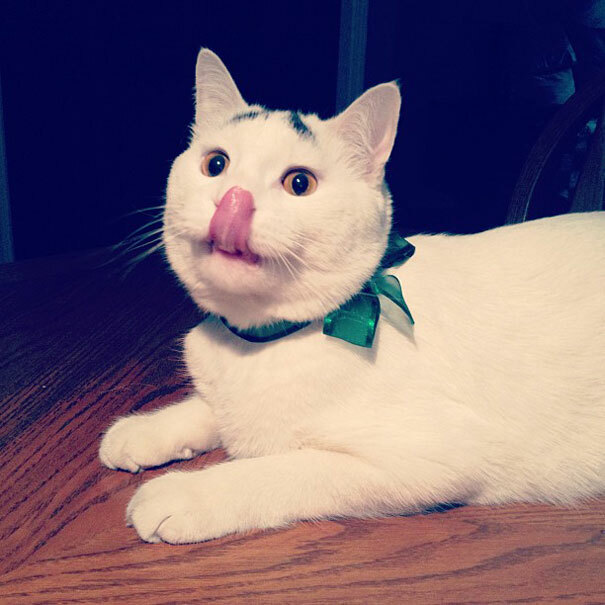 Sam was an abandoned cat and was already neutered and had no calluses on his paw pads. 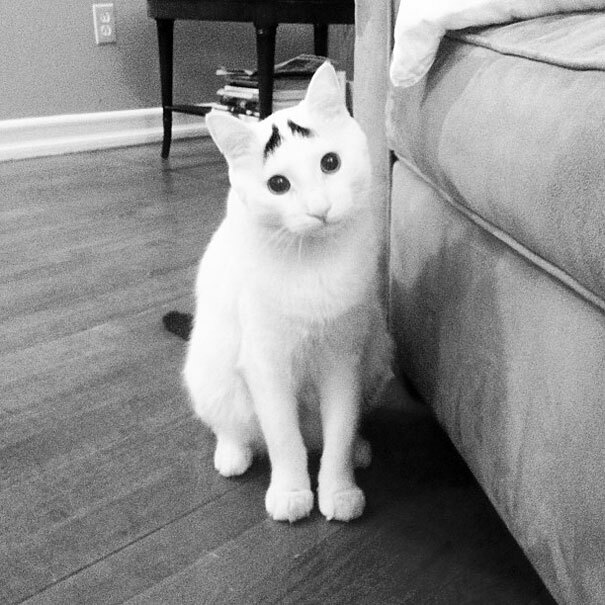 He was named Sam after Andy Warhol’s cats. Initially the plan was to take care of Sam until they find a foster home for him, but gradually Sam the cat was able to win the hearts of everyone in the house and found a permanent abode at Amanda Collado’s home. 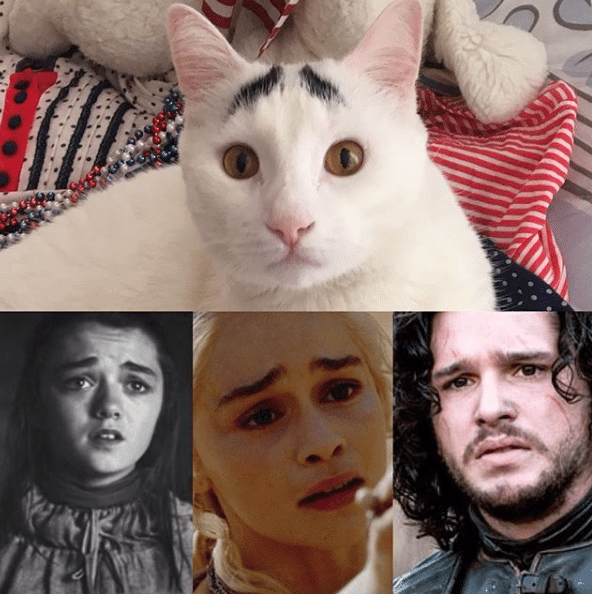 A lot of people have different opinions about the cat. After a brief stint on Reddit, people started comparing him with Martin Scorsese or Collin Farrell. 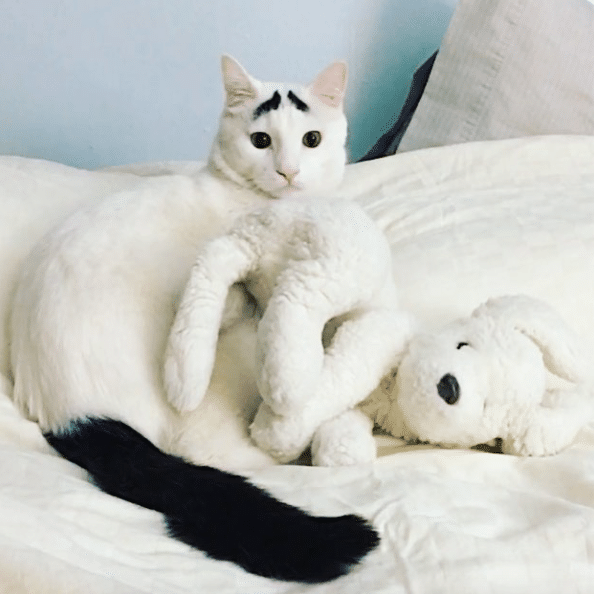 Amanda said initially she didn’t notice the eyebrows, but it was her friend who found this unique facial feature first and informed Amanda about it. 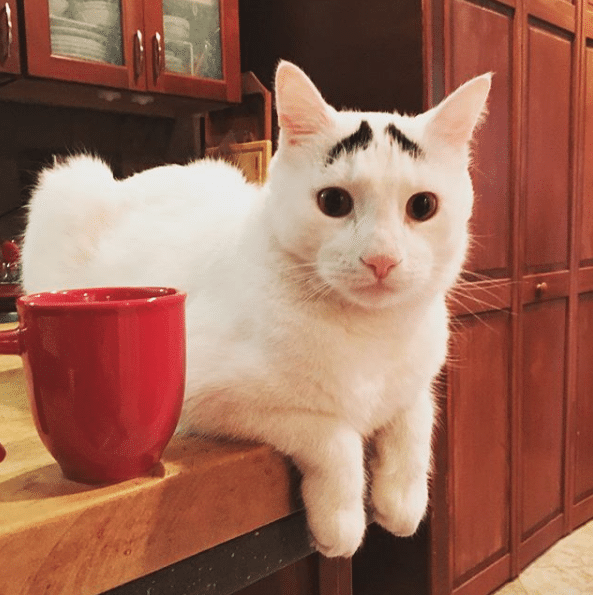 Some people even doubted the authenticity of the eyebrows and believed that they may have been dyed, but Amanda has said the brows are legitimate. 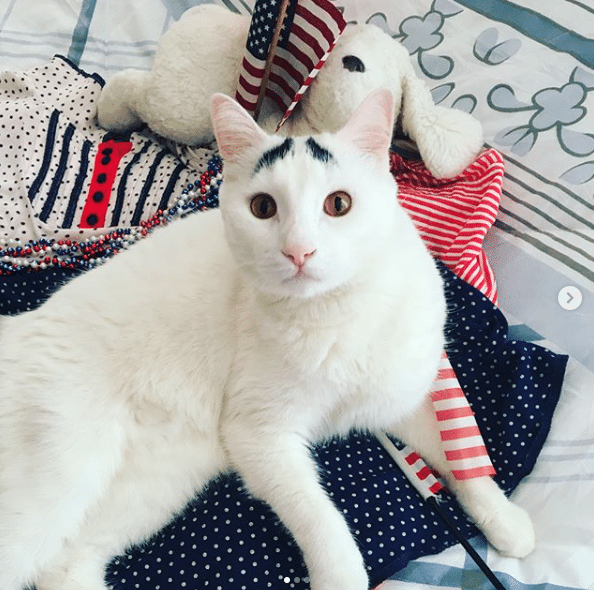 Soon Collado created an instagram account for Sam the cat and the feline instantly became a celebrity with lots of followers. He has been featured in various magazines and newspapers around the world. About his personality, Collado says, Sam the cat is just like a dog and loves to play. 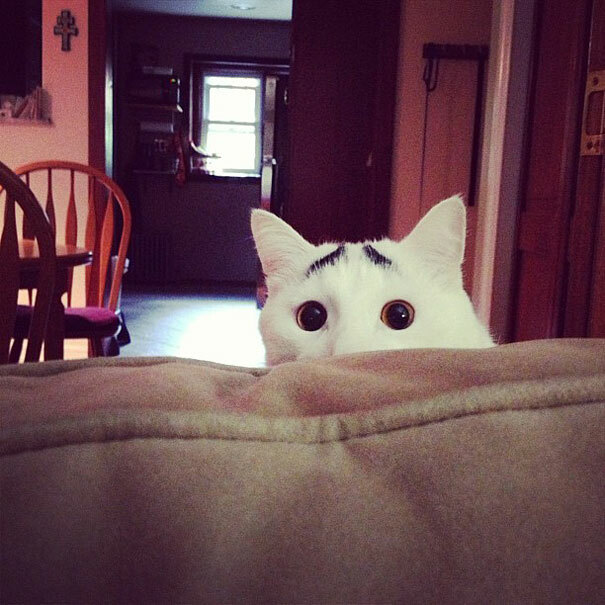 If he finds a hand hanging from the sofa he will almost instantly tap it and invite you for a play. He loves eating tomatoes and his favorite place in the house is the top of the refrigerator. Seeing his popularity, Amanda has plans to start Sam Merchandise in the future. Amanda posts pictures of Sam on his account every two days and even spends time on the social media sites informing his fans about his day to day activities. Sam is definitely a big star and his popularity is increasing by the day.